The Montreal Impact aren’t wasting any time here in building their roster. 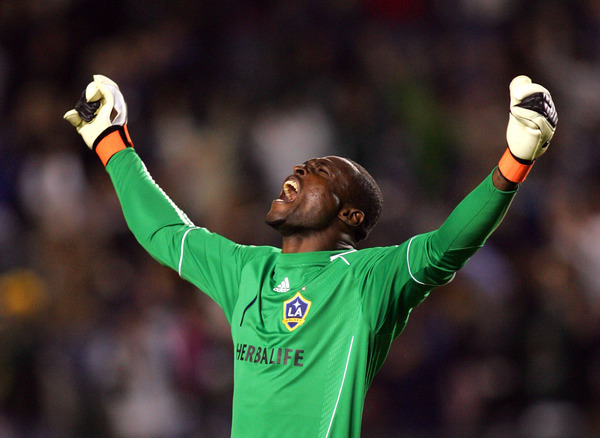 In the second move of the day for the new club they have traded for veteran international keeper Donovan Ricketts from the Los Angeles Galaxy in exchange for allocation money. I had a sneaky suspension that Ricketts would get traded this winter or at least before next season by the Galaxy. It wasn’t a matter of him falling out of favor with coach Bruce Arena or anything like that. It was mostly because the club believes they have a strong core in Josh Saunders and even with backup Brian Perk. In my mind LA had the luxury of trading a fairly expensive keeper in Rickets like this too. Montreal lands a top keeper here – who can be great – if he remains healthy. Getting a viable leader in goal is a great way to start an expansion club too. You are seeing Jesse Marsch and company put together a solid roster already (even if you don’t like how it has been done). Ricketts ends his time in LA with 77 appearances — all starts — and a 39-16-19 record, making 226 saves, allowing 70 goals, and posting 27 shutouts in his three seasons with the club. To me, both teams got out good in this deal. LA gets the likely much needed allocation money for the months ahead, while Montreal gets the keeper they really needed for year one.